I found this "Flower Color" yarn from Black Sheep and Ewe (.com) at the Creativ show this past weekend. I did supplement it with a strand of a wool combination yarn as a ducetted square braid made into an infinity scarflace. 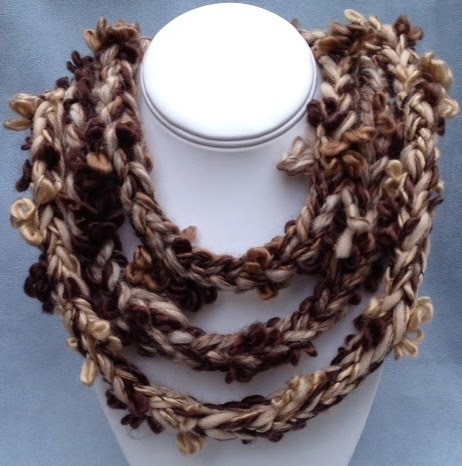 I love the tufts of "flowers" that add an unusual dimension to this neck warmer.